THE BEST MINIMALIST WATCHES FOR MEN | muted. In our buying guide, The Best Minimalist Watches For Men, we show you some of the coolest and simplest watches available today. You may think that a minimalist watch would be something that is new, but minimalist watches have been around for decades. Although some of the styles may be considered modern most of them are based on classic traditional designs. In fact, some of the more expensive minimalist watch brands like Zenith, and Piaget have been around for centuries. For our purposes, minimalist watches are based on simplicity. You won’t find chronographs in the group, nor will you find a lot of ornate design like roman numerals. Most of the cases will be fairly thin due to the use of quartz movements. Automatic movements tend to be bulky and require much thicker cases. Indices will be represented by either simple lines or basic numbers. Because the easiest watches to simplify are dress watches, most the watches in our list will have leather bands, save one. The great thing about these stripped down minimalist watches is that because they are so simple, prices tend to be low. In fact, our first offering, by Daniel Wellington, is a minimalist watch under $100. Not too shabby. 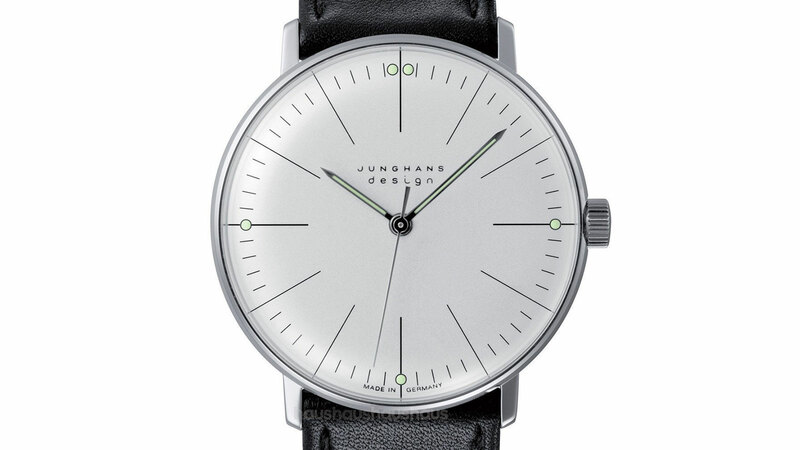 Minimalist Watch Under $100. Daniel Wellington is one of the most well known men’s watch brands around. Their watches seem to blend simple and modern with classic styling seemlessly. 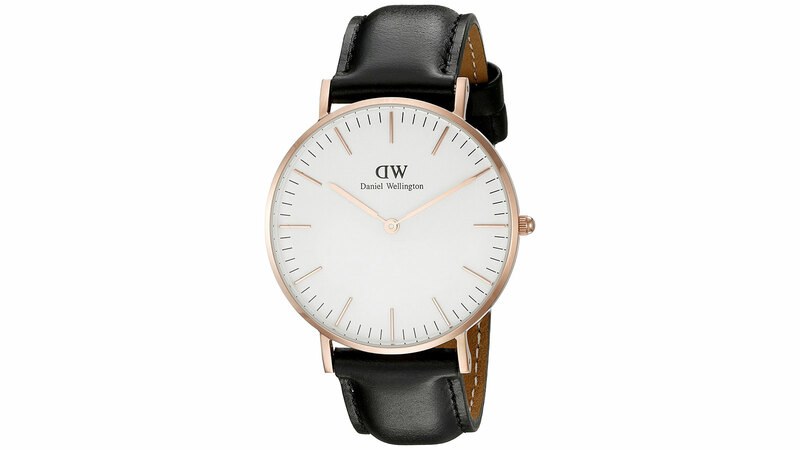 Their watches are vailable in both a tan and black coloring the Daniel Wellington’s DW series Minimalist Watch ($75) offer a beautiful and minimalist style that elegantly captures the classic timepieces of the past, with a few added modern touches. The simple stainless steel face features golden watch hands and a 40mm rose gold case encompasses it all. The Daniel Wellington features a quartz movement making it one of the thinnest watches in the guide. This stunning watch is sure to make a great gift for anyone! 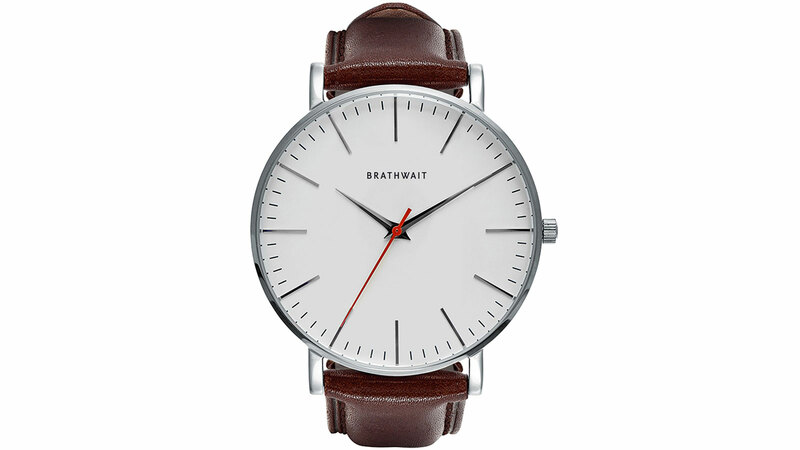 The Brathwait Classic slim Wrist Watch ($249) is a classic Italian watch that’s sure to be a hit with anyone! The burgundy calf leather strap adds a powerful masculine quality to the watches design and it beautifully and securely holds the stunning watch face. Featuring a domed sapphire glass anti-reflective coating and made with high-quality stainless steel this classic watch perfectly captures the traditional, retro minimalist design of the classic 1950’s watch. And if you’re looking for a small men’s watch, this would be a great option for you. The case comes in at 38mm which a little smaller than the 40mm standard men’s watch size. Bold and stylish with a dynamic modern color scheme the Stock S003B Minimalist Watch ($269) is a stylish minimalist watch that’s a real work of art! With its use of bold white colors that are perfectly contrasted with the black clock hands, this stylish watch provides a more unusual and quirky design. The stainless steel finish adds the perfect extra dash or style and charm and the thick brown premium leather strap will be sure to give you a comfortable snug fit. Additional features include a 30mm watch case made from stainless steel, a 6 jewel, Quartz movement, a hardened mineral crystal, and water resistance to 30 meters. The magnificent Max Bill Manual Lines Watch ($690) takes the classic 1950’s watch design and updates it for today’s modern audience! But don’t worry that classic retro design isn’t lost in the process it’s actually improved. Bold and clear with a simple yet stylish design this energy efficient watch would make a great choice for anyone looking for a more minimalist design. The black leather strap perfectly contrasts the stunning stainless steel build to form a wondrous watch anyone will love. The Eone Bradly Minimalist Watch ($315) is a metallic marvel that’s made from both stainless steel and titanium and its bold and beautiful design is sure to please anyone! 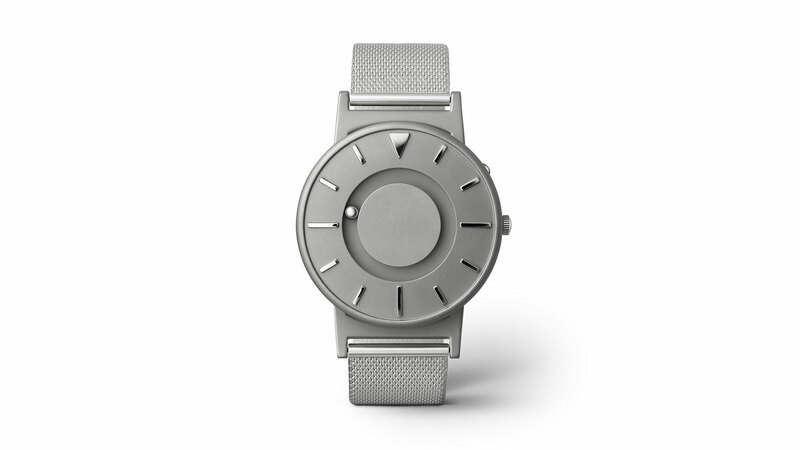 And while it does have a very minimalist design this is a very modern watch that offers a more quirky style, because instead of watch hands it uses two magnetized ball bearings. One travels around the outer watch face to tell you the hour while the other travels around the face. Taking minimalism to new places this bold and exciting watch could be the future of timepieces and will no doubt make both a stylish and practical accessory. 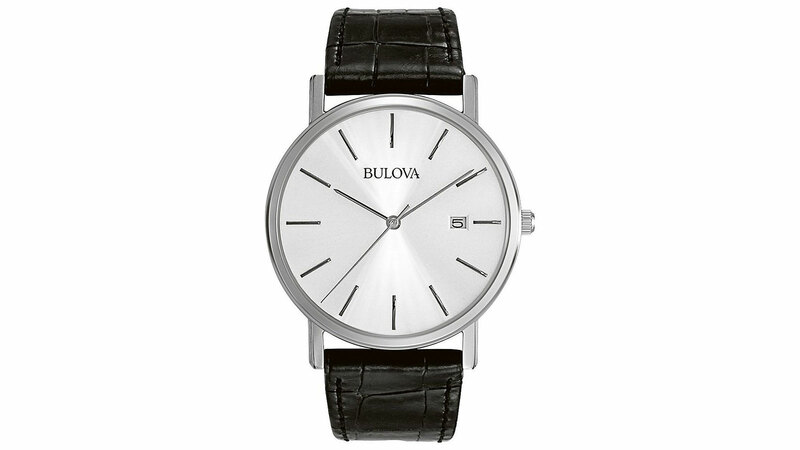 Simple and stylish the Bulova Men’s 96B104 Stainless Steel Minimalist Watch ($82) is a beautiful watch from Bulova that perfectly captures the minimalistic look that is so popular today. Featuring a bold white dial and date window this elegant watch is further complemented with the 37mm stainless steel case and croc-textured calfskin band. The classic buckle clasp adds an extra dash of traditional charm to create a stylish minimalistic watch that anyone will love. Additional features include water resistance to 30 meters, and a Japanese quartz movement. 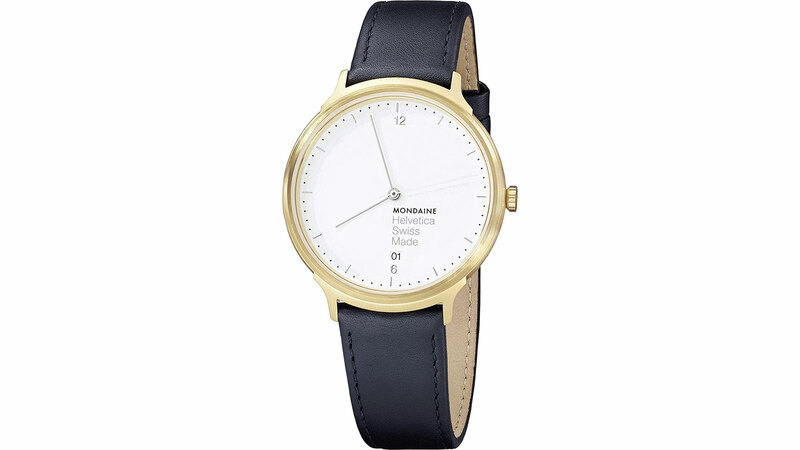 The Mondaine Helvetica Light Minimalist Watch ($209) is a true beauty that anyone will love! This Swiss masterpiece effortlessly captures the stunning minimalistic beauty that Swiss watches are famed for. The bright tan leather band elegantly contrasts the sparkling stainless steel watch face and the strong clear sapphire glass means you’ll always be able to tell the time at a quick glance. Additional features include a Swiss-quartz movement, a case diameter of 38mm and water resistance to 99 feet. 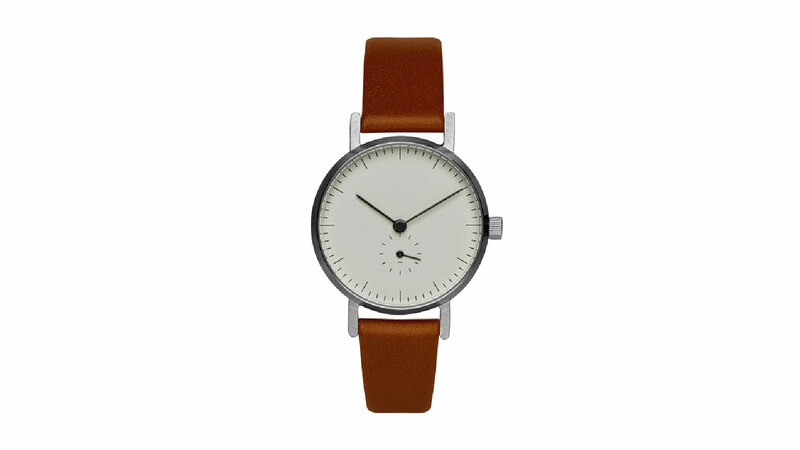 Anyone will love this minimalistic watch and it is ideal for both professional and casual use. 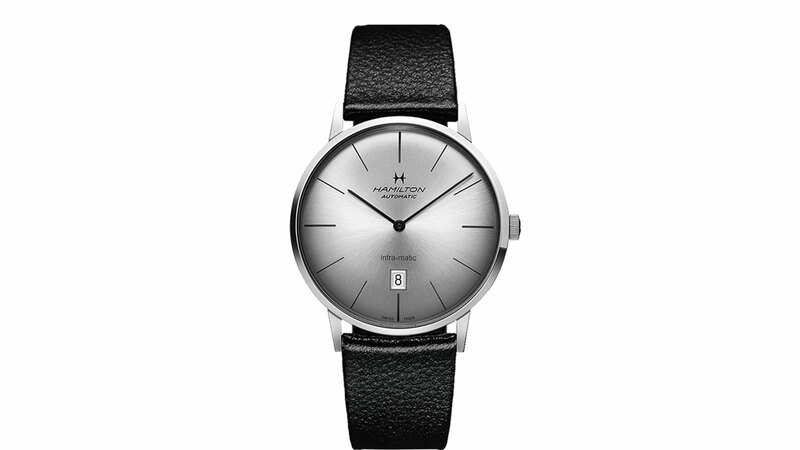 Featuring a sapphire crystal, brushed metallic watch face and thick, textured watch band the Hamilton Intra-Matic Minimalist Watch ($500) is an amazing watch that will please anyone. The minimalistic style of this amazing watch takes inspiration from the classic 1950’s style watches and adds some modern design elements and features. Together it creates an amazing hybrid of both the old and the new. It’s also water resistant and shock proof so ideal in environments of all kinds. Features include a 42mm case with an open case back, automatic movement, a lug width of 22mm, a sapphire crystal, and water resistance to 50m (I wouldn’t go swimming with this one).